Santa Mariana Bayside Condo: Walk out to the sandy beaches, palm trees, and sailboats of Mission Bay! Beautifully furnished , two bedroom, two bath, 1100 square foot, San Diego condo with washer and dryer, dishwasher, gas barbecue, broadband wireless internet, cable TV, DVD/VCR, and CD stereo. Secure building and off-street parking. Elevator. Available by the week or month. Great summer weeks still available! Fantastic views from Master Bedroom, Living Room, and Kitchen. Guest Bedroom has twin beds and partial view of the ocean. Living room has Queen sofa sleeper. Oval soaking tub in Master Bath. Guest bathroom includes shower stall. Rent beach bikes and roller blades and tour the boardwalk from outside your door. Watch Sea World fireworks nightly in summer. Sea World (three miles) and world famous San Diego Zoo (seven miles) by car or bus. Rent sailboards and catamarans at nearby Santa Clara Sailing Center. Enjoy bayside brunch at the nearby Catamaran Resort. Come to San Diego! My wife and I had the pleasure of living in San Diego for 6 years. We return often, and are happy to share our home away from home with you. The beauty of San Diego and to enjoy the Southern California beach lifestyle with our three children. We love the easy access to the beach and bay. It is a pleasant walk to shops, restaurants, grocery store and Starbucks. 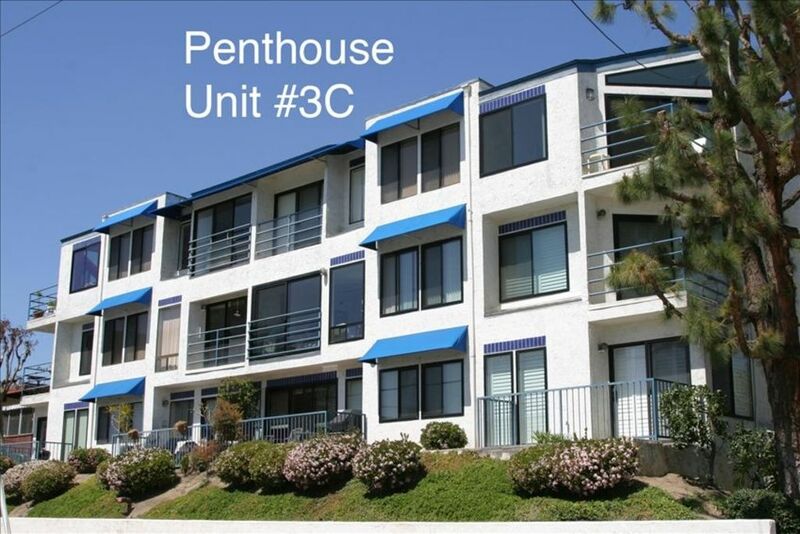 Condo has fabulous views of Mission Bay/Sail Bay and is a short walk to the ocean. Balboa Park, Surfing and so much more!